NASHVILLE, Tenn. (January 29, 2016)- Multi-Grammy award winner and MCA Records Nashville recording artist Vince Gill announced today during a live Facebook chat at Ernest Tubb Record Shop in downtown Nashville with legendary Opry announcer and Country Music On-Air Personality Hall of Famer Eddie Stubbs that he will celebrate his 25th Anniversary as a member of the Grand Ole Opry® with two special shows on Saturday, August 13. Gill, one of the Opry’s most beloved and frequent players, was inducted as an Opry member on August 10, 1991. NASHVILLE, TN – Nashville, TN – (January 28, 2016) – 2016 Grammy nominee and Pollstar’s three-time top female country touring artist, Carrie Underwood, will launch a new arena tour this Saturday, January 30th, with a sold-out show in Jacksonville, Florida at the Jacksonville Veterans Memorial Arena. The Storyteller Tour - Stories in the Round, in association with award-winning cosmetics brand ALMAY, will take new music from her Gold-certified Storyteller album on the road, playing 40 arenas across the U.S. and Canada as well as five international shows in March during Europe’s biggest country music festival, Country to Country (C2C). Nashville – (Wednesday, January 27, 2016) – Reigning CMA and ACM Entertainer of the Year Luke Bryan wrapped the second annual sold-out, four-night concert event, Luke Bryan’s Crash My Playa, in Riviera Maya, Mexico on Monday night. The concert destination weekend featured two headline shows by Luke as well as headline concerts by Dierks Bentley and Cole Swindell. Additional performers included Craig Campbell, Brett Eldredge, Sam Hunt, Dustin Lynch, Chris Stapleton and DJ Rock. NASHVILLE— (January 26, 2016) - Grammy nominee and EMI Records Nashville artist Eric Paslay performed to a sold-out standing room only crowd tonight at Marathon Music Works in Nashville. Eric entertained the fans and music industry guests with an energetic performance and debuted some new music from his upcoming sophomore album due out later this year. Nashville, TN – Following microlaryngeal surgery to remove a vocal polyp on his vocal chords, Columbia Nashville post modern country traditionalist Tyler Farr has been placed on total vocal rest. The power vocalist first became aware of vocal issues while on tour with Jason Aldean this summer – and the problem was identified during a severe bout of bronchitis at the end of 2015. 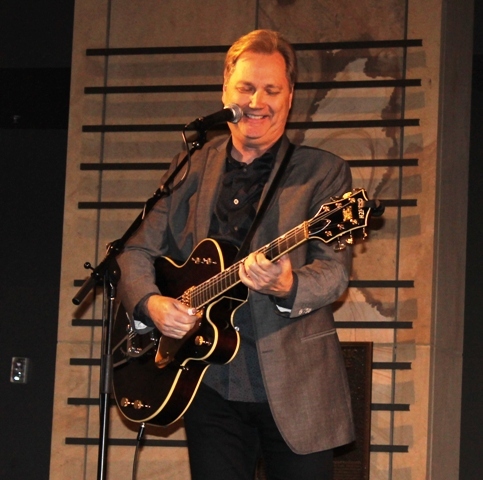 It's been 20 years since Steve Wariner released his instrumental album No More Mr. Nice Guy. Now the Grammy winner says he's working on a long-awaited sequel. 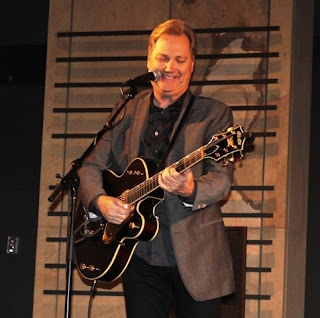 Inside Country caught up with Steve at the Country Music Hall of Fame & Museum: "I'm working on a new project that's gonna be kind of like an album I did a few years ago called No More Mr. Nice Guy where a lot of my friends come in. Peter Frampton already said he wants to play on it. I talked to Ricky Skaggs about a project, not specifically this one. But back when I did the first one, he said 'Thanks a lot.' I go what? He said, 'You didn't ask me to play on your record.' Ricky's one of my dear friends so I definitely want to ask him. There'll be different folks than the last one. But there are a lot of great players. My wish list is pretty long. I've written a few things, I actually recorded a piece yesterday." Steve says it probably won't be ready until the end of the year. NASHVILLE, TN – Jan. 25, 2016 - Already dubbed one of "2016’s Hottest Tours” by Rolling Stone for fans "looking to have the night of their lives," three-time and reigning ACM Male Vocalist of the Year Jason Aldean's WE WERE HERE 2016 TOUR makes its opening run after a string of sold-out shows. With bigger-than-ever production, a new setlist and history-making attendance records, he’s putting his mark on the "record books as the first time a solo music performer has headlined a pair of sold-out two night stands in succession" (The Pantagraph) at the US Cellular Coliseum in Bloomington, IN. 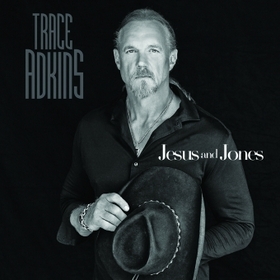 Trace Adkins will never forget the day he got a call from Nashville songwriter Casey Beathard. "There've been a couple times in the past when Casey has called me, and he'd go, 'Man, I just wrote a song that I think you'd like.' The first time he did that was 'Hot Mama.' The second time was 'Just Fishin'' So when Casey calls and tells you that, you listen. So when he called this time, he said, 'I just wrote a song that's you. It's autobiographical and it's just you.' So he sent it to me, and yeah, I knew halfway through the first verse I was gonna cut it. It's that struggle between the good side and the bad side, and it's been sung about before, but this is a different take on it." (NASHVILLE, TN – JANUARY 24, 2016) – Multi-platinum selling duo Thompson Square is now officially a three-piece. 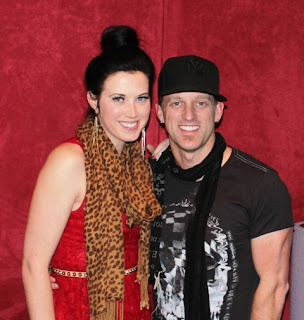 Shawna Thompson gave birth today at 2:46 am CT in a Nashville area hospital to the on-stage and real-life couple’s first child, a baby boy named Rigney Cooper Thompson. The healthy blue-eyed boy weighed in at 7 lbs and 13 oz. Rigney is 19 inches long and has brown hair. NASHVILLE, TN (January 22, 2016) – Reigning six-time consecutive CMA and ACM Female Vocalist of the Year, Miranda Lambert is gearing up for a very busy 2016. She is heading out on the road for her headlining tour with special guest, multi-platinum singer/songwriter Kip Moore and the Grammy, CMA and ACM nominated duo, Brothers Osborne. NASHVILLE, Tenn., Jan. 22, 2016…Four-time Grammy Award winner Keith Urban and Country Music Hall of Fame member Vince Gill, will return to Nashville’s Bridgestone Arena on April 12 for the sixth, highly anticipated All for the Hall, a concert to benefit the Country Music Hall of Fame® and Museum. The show’s musical theme, Mashville: The Music City in 2016, will feature performances from musical directors Urban and Vince Gill, Luke Bryan, Peter Frampton, Florida Georgia Line, Emmylou Harris, Sam Hunt, Jason Isbell, Maddie and Tae, and Maren Morris. The show’s presenting sponsor is City National Bank, along with lead sponsor the Academy of Country Music. Florida Georgia Line, coming off of an epic 2015 that saw them scoop up AMA, ACM, CMA and CMT Awards, as well as perform to over 1.4 million fans, is getting ready to embark on their, Dig Your Roots tour, beginning in March. The tour is sponsored by Budweiser, a brand with a strong commitment to country music. NASHVILLE, TENN. – (Wednesday, Jan. 20) – On Wednesday, March 16, an extraordinary collection of music stars will come together at Bridgestone Arena in Nashville, Tenn., for the all-star concert event taping of a lifetime, The Life & Songs of Kris Kristofferson. 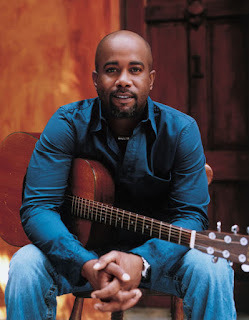 NASHVILLE, Tenn. -- (January 20, 2016) - Three-time GRAMMY Award winner Darius Rucker will kick off his 2016 Good for a Good Time Tour in Tampa, Fla. on June 3. The Good for a Good Time Tour will feature opening acts Dan + Shay, who are celebrating their first No. 1 single with “Nothin’ Like You” and rising country singer Michael Ray, who was the only new male country artist of 2015 to have a No. 1 single in 2015, with "Kiss You in the Morning." Over 30 stops across the country have been announced so far with more to come! Fans can purchase tickets beginning Jan. 29 for select cities as part of Live Nation’s Country Megaticket at www.Megaticket.com. Nashville, TN, January 20, 2016 – Continuing the success of his critically-acclaimed album Damn Country Music, three-time Grammy®-winning singer, songwriter, and actor Tim McGraw released the record’s anthemic second single, “Humble And Kind,” today. 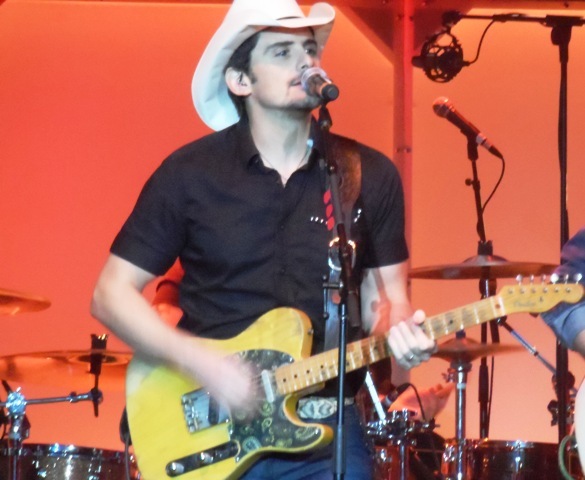 NASHVILLE, Tenn. (January 19, 2016) Country music superstar Brad Paisley will begin the 2016 winter leg of his highly successful “Crushin’ It World Tour,” kicking off this Thursday, January 21 in Jonesboro, AR. 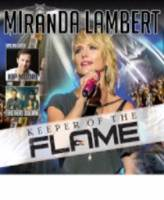 The tour will continue across the United States and Canada during the winter months. Special guests will be breakout country artist Eric Paslay and new country sensation Cam. Nashville, TN - January 19, 2016 - Multi-PLATINUM singer/songwriter Kip Moore announced today that he will be crossing the pond once more to play a string of headlining dates in the UK and Ireland as part of the second leg of his WILD ONES TOUR. Kicking off on 4/22 in Dublin, IE Moore's return to Europe follows a triumphant visit earlier last year where he stunned crowds at the O2 Arena in London ending his set with a poignant cover of native band Oasis’ “Don’t Look Back In Anger” with Rolling Stone revealing that the "highlight arrived toward the end of the song, when he took out his inner-ear monitors and led the 20,000-capacity through a singalong of the final chorus.” Moore’s shows in Europe will come hot on the heels of his first dates scheduled in Australia. For a full list of tour dates and more information visit www.kipmoore.net. NASHVILLE, TN – Jan. 19 2016 – After announcing his eighth studio album BLACK, set for release in early 2016, Dierks Bentley ignites country radio today with the album’s lead single “Somewhere On A Beach.” The multi-PLATINUM entertainer also announced today that the US leg of his 2016 SOMEWHERE ON A BEACH TOUR will begin on May 12 in Holmdel, NJ at the PNC Bank Arts Center with Randy Houser and special guest Cam. Fans can purchase tickets beginning Jan. 29 for select cities as part of Live Nation’s Country Megaticket at www.Megaticket.com. Pictured: ASCAP's Mike Sistad and Beth Brinker with Old Dominion. Photo by Ed Rode for ASCAP. Nashville, Tenn., January 15, 2016: ASCAP and Sony Music Nashville hosted a #1 party for RCA Records recording artists Old Dominion on Thursday, January 14th at Marathon Music Works, immediately before the band's performance in front of a sold-out hometown crowd. Comprised of ASCAP members Matthew Ramsey, Trevor Rosen, Whit Sellers, Geoff Sprung and Brad Tursi, Old Dominion's debut single, "Break Up With Him," co-written by all five band members and produced by hit songwriter/producer Shane McAnally, spent two weeks at #1 on the Billboard Country Airplay chart and topped the Mediabase country charts in November of last year. NASHVILLE, Tenn. (January 14, 2016) – Country music trailblazer Granger Smith rounded out a banner year in 2015 and, today, confirms the release of his Wheelhouse Records debut album Remington, due out March 4, 2016.Following their acclaimed collaboration on Smith’s 4x4 EP, Remington is co-produced by Granger and the esteemed Frank Rogers (Brad Paisley, Trace Adkins, Darius Rucker). 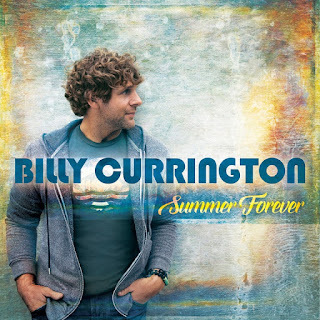 The album features the hit single “Backroad Song,” which continues its ascent at Country Radio, catapulting into the Top 10 on both the Billboard Country Airplay and Mediabase charts this week. Nashville – (January 13, 2016) – Two-time CMA and ACM Entertainer of the Year Luke Bryan made a special live announcement direct to his fans this morning that his “Kill the Lights Tour” will add five stadium shows to the 2016 touring schedule. The news was exclusively shared live through his Luke Bryan mobile fan app followed by a live announcement on Facebook. Luke also revealed active users of Luke’s mobile app can enter to win a once-in-a-lifetime experience to sit side of stage at the stadium concert in Detroit. To view the announcement from today go to : https://www.facebook.com/lukebryan/videos/vb.7290301030/10153803194286031/?type=2&theater . Luke will return to Boston, Minneapolis and Detroit stadiums performing concerts for a second time in those stadiums while adding first time headlining shows at Wrigley Field in Chicago and Dallas’ AT&T Stadium, where he co-hosted the 50th Academy of Country Music Awards in 2015. Nashville, TN – Superstar Carrie Underwood adds more precious metal to her tally of RIAA certifications with news that her Greatest Hits: Decade #1 has been certified Platinum. The accomplishment makes Underwood the only country artist – and one of only six all-genre artists – to release an album to Platinum success since the release of Greatest Hits: Decade #1 in December of 2014. 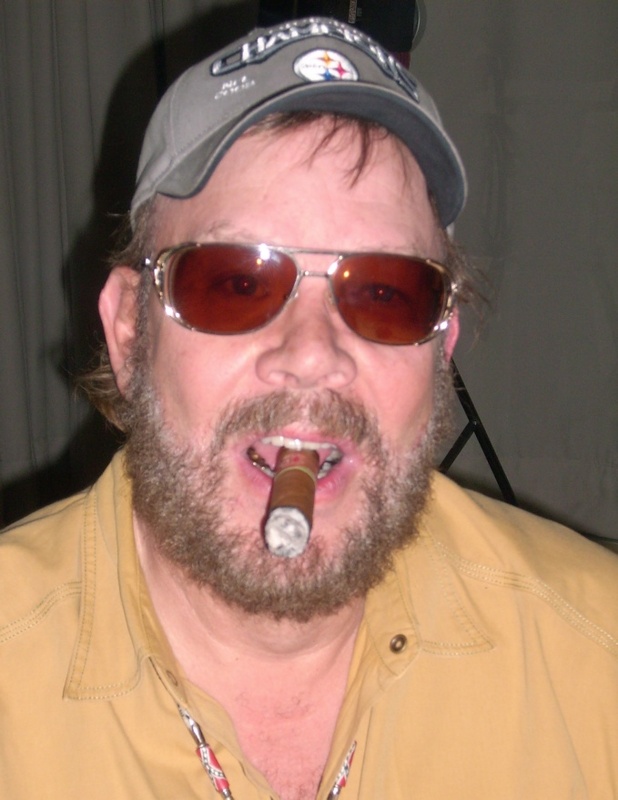 Nothing stands between Hank Williams Jr. and his cigars. His team had set up a media day for the country legend at a Nashville studio. The day before it was supposed to happen, everyone received an emergency email, announcing a change of venue. We got the story from Bocephus himself. He told us, "There's quite a story about why we're in this studio today. We were going to another studio, and they told me, 'They don't want you to smoke the cigars there, because it gets into the air handlers.' And I said, 'Oh that's fine, cause I was goin' home anyway.' Boy they got that studio changed real quick ladies and gentlemen. I said that works for me, cause I was goin' anyway. That's super-true!" Nashville – (January 12, 2016) – Reigning CMA and ACM Entertainer of the Year Luke Bryan has just announced he will extend his “Kill The Lights Tour” through this fall adding 40 concerts to his previously released 2016 schedule. Little Big Town and Dustin Lynch will continue as guests through the fall. Tomorrow, Wednesday, January 13 at 10:00am central Luke will share with fans an exclusive Live announcement in his Luke Bryan mobile fan app. The app is available for download from the iTunes App Store and Google Play Store or download here: http://m.onelink.me/aaf000b8 . 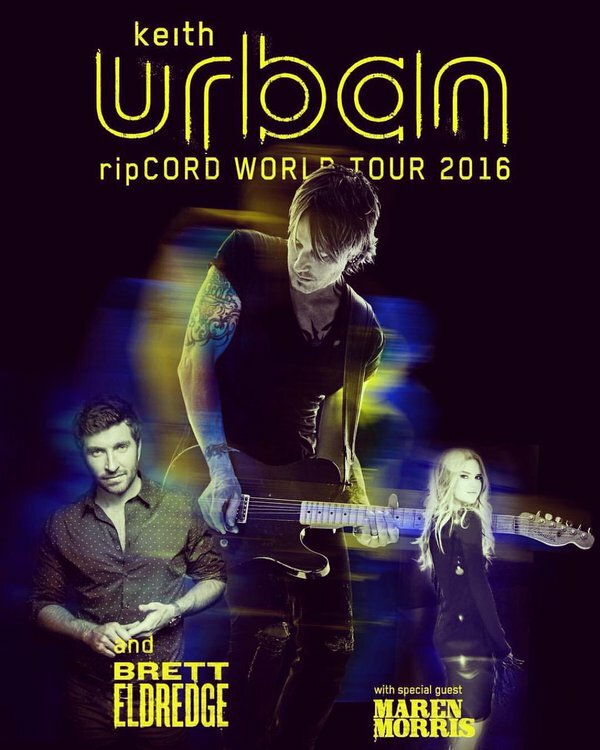 Keith Urban has announced his first arena/amphitheater tour in two years! 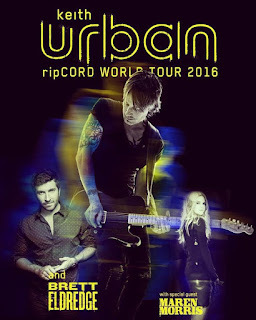 Urban's "RipCORD World Tour 2016" will kick off on June 2 in Kansas City, Missouri, and will feature special guests Brett Eldredge and Maren Morris along for the ride. The tour has more than 50 U.S dates scheduled through November, with additional legs set to be announced. Tickets in select markets will go on sale January 29, with more ticket on sales becoming available locally within the next few weeks. Keith says he can't wait to kick off the new trek, which is in support of his forthcoming studio album, Ripcord. Urban shares, "I'm seriously chomping at the bit to kick off this tour. We'll be playing a lot of new music from RipCORD, all new production, new cities where we've never played…and Brett Eldredge and Maren Morris? It's gonna be potent and unbridled!" NASHVILLE, Tenn. (Jan. 11, 2016) – As the “longtime favorite in Nashville, revered for an honest — and monstrous — country voice” (Rolling Stone Country) singer of Top 15-and-climbing single “We Went” continues to churn up the airwaves at country radio, fans and industry insiders have been anxiously awaiting the arrival of a new album from Randy Houser. 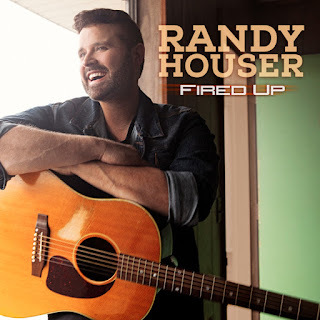 On Friday, March 11, the artist who Billboard raved “just might be the best male vocalist in the business” will put an end to their wait with the release of his fourth studio album, Fired Up, as first reported this morning by Rolling Stone Country’s Ram Report. 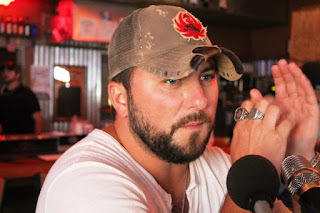 The 17-song album marks Houser’s second for Stoney Creek Records, following the critically acclaimed How Country Feels. NASHVILLE, Tenn. – (Jan. 11, 2016) – Multiple Platinum-selling recording artist Scotty McCreery will perform the National Anthem at the American Football Conference (AFC) Divisional Playoff Game held at Gillette Stadium in Foxborough, Mass. on Saturday, January 16. The game, which will air live on CBS at 4:35 PM ET (3:35 PM CT), will pit the home team and reigning Super Bowl champions, the New England Patriots, against the Kansas City Chiefs. Nashville, TN – Jan. 11, 2016 – For PLATINUM selling singer/songwriter Dierks Bentley, it seems the most personal songs are also the ones most universally relatable to his fans. On his upcoming release, he raises the bar on that idea as he candidly explores the farthest corners of his own heart. His eighth studio album BLACK is set for release in early 2016. Fans can pre-order the collection now on Dierks.com and have access to extra tracks, bonus videos, special merchandise and VIP Black Card member experiences with Bentley on his 2016 tour.